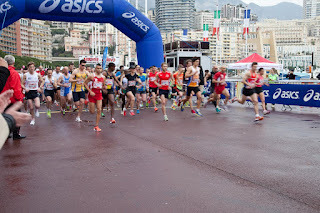 Monte Carlo Weekly Photo: Monaco 10 Kilometre Run - They're Off! 2,500 runners took part in the recent Monaco 10 kilometre run. And they came from 50 different countries. It's one second to the start and the really serious guys are ready to press the button on their watches. First and foremost, thanks for this wonderful project. Your effort and your photos have succeeded in transporting me to this wonderful principality. 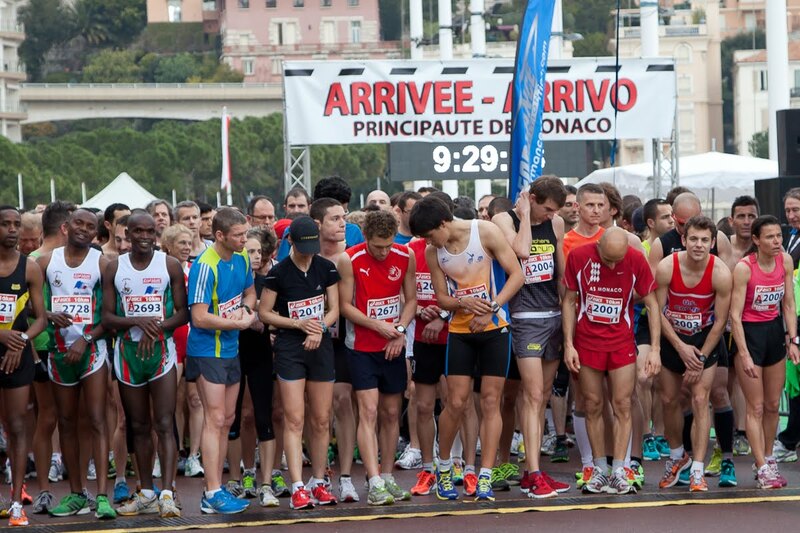 Second, regarding this marathon, does Monaco have a 10 km route within? I know it's a small country, so I am curious how it can accommodate such a race. Thanks so much, and here's wishing you more power and inspiration. Take care always. Good question and I really should have made it clear. Posted in a hurry yesterday. No, the run starts and finishes in Monaco but in fact runs right along the coast to Roquebrune and I think Menton. I know when I drove home that day there were massive diversions up into the hills because of the race.